In a globalised world, our actions have a direct impact on future generations and on people in other parts of the world. Whether the threat of climate change, the loss of biodiversity or social tensions - the global challenges of our time cannot be understood without an awareness of the complex interplay between ecological, social and economic factors. Nor can they be overcome without a humanity that lives sustainably and responsibility. If we want to create the conditions for a sustainable and humane future, we must be able to assess how our actions today affect our living conditions tomorrow and then act accordingly. Education for Sustainable Development (ESD) imparts the necessary knowledge and skills for this. We, at the ESD Expert Net, are convinced that joint learning and action beyond national borders and continents is the heart of sustainable change. Only through international cooperation can we reflect on and think about ESD and realise innovative ideas. We are committed to ensuring that ESD is anchored in all areas of formal and informal education systematically and enduringly. Teachers, education experts, multipliers, trainers - we provide them with the tools they need to integrate ESD into their work. We advise policy and civil society on expedient approaches and implementation strategies thus improving their capacity to promote knowledge and competencies for sustainable development. 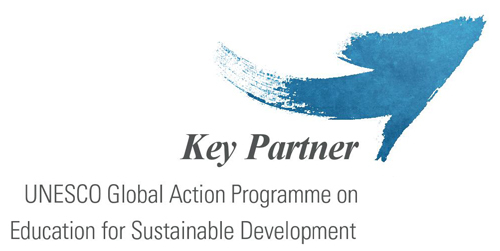 As a key UNESCO partner in the implementation of the “Education for Sustainable Development”, we support its endeavours: “To initiate and intensify activities at all levels and in all areas of education to accelerate the process towards sustainable development”.